"At midnight, a white arctic fox dashes up the fells, trailing its tail through the snow shooting flickers into the sky. The aurora borealis burst into flame over Lapland. Only the glass roof separates you and your warm bed from the cold, flaming sky." northern sky, directly above the bed. an evening with a professional aurora photographer, looking for prime spots to view the northern lights. Wherever you're staying, we offer pickups and drop-offs. of some of the last great wilderness areas of Europe. Get to know the local culture, history and way of life. Get the most out of your summer vacation with Midnight Sun Village! a collection of our most popular experiences with transportation and full board at a more attractive price. There are also plently of other seasonal offers to look for! loads of snow and breathtaking northern lights at night! clear and you get beautiful reflections, which we call two sets of northern lights! 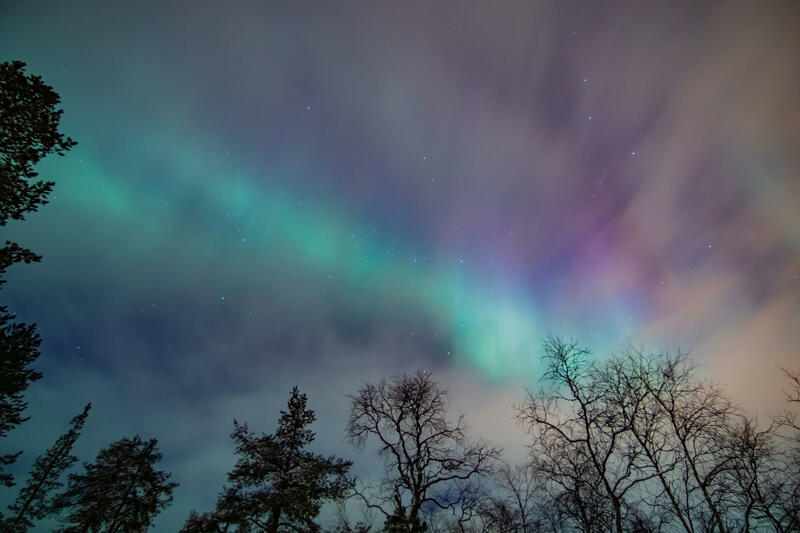 "Did you know, that the Northern Lights were thought to possess great magical power and this is why the ancient Sámi shamanic drums have dedicated patterns for controlling the flames of the sky? It is not hard to see why they believed that when you are in the quiet, arctic wilderness, the night sky lights up."